Transformational Coach. Author. Everyday Alchemist. We’ve all heard the saying, “you are what you eat.” But as Marc David suggests in his insightful book, Nourishing Wisdom, “whatever you already are will determine the kinds of foods you reach for and the body you will help create.” In other words, you eat what you are. For example, if you think you have little willpower, you’re likely to crave foods that reinforce this idea. Sweet foods, rich foods, foods that are simply irresistible will tickle your taste buds. The more you eat them, the more you reinforce the idea that you have no willpower. If, on the other hand, you are very disciplined, you may desire foods that reinforce the idea of control like bland foods, simple meals, or sugar-free, fat-free, or other alleged “health foods”. The more the food supports the experience of being disciplined, the more in control of your diet you may feel. If you limit your experience of eating only to food, you ignore the other ingredients that play a part in assimilation and digestion. You’ve probably heard of the food-mood connection and experienced it for yourself. You eat massive amounts of sugar and buzz around like a hummingbird all afternoon. But how often do you look at the mood-food connection? This is the way your mood affects your ability to assist or resist the digestive process. Think about the last time you ate something in a hurried, stressed, or otherwise agitated state. How did you feel afterwards? Do cramps, gas, heartburn, stomachaches, or intestinal pain ring a bell? What about the last time you had a thoroughly enjoyable meal with family or friends where you ate food you might normally label as off limits but enjoyed every bite and relaxed into the experience? 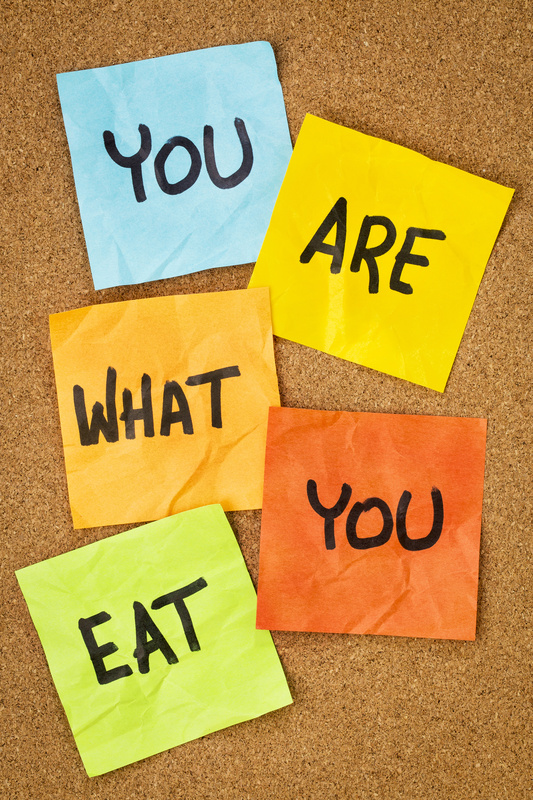 Are you beginning to see how mood might affect the way you digest and metabolize food? Mood can also affect your posture while you’re eating, which plays a part in your ability to properly digest food. When you are slouched over your food, you set off a physiological chain reaction that can impact everything from your respiration to digestion to diminished brain function. Just like you need to be aligned to do certain exercises correctly, keeping your back straight, chin parallel to the ground, shoulders relaxed, and knees slightly lower than your hips helps you get the most benefit out of eating. Bringing your food to your face instead of hunching over to face your food up close and personal can make a huge difference in the way food moves in your mouth and down your throat. It also impact the way you breathe and your ability to taste food along with your overall awareness of the meal. Another aspect of mood deals with who is eating. This may sound silly to anyone but Sybil*, but think about it. Are your food choices the same when you are feeling rebellious as when you are feeling focused? I guarantee your food choices will look different when your inner teenager is in charge of the menu than when your inner athlete or inner healer is at the helm. The good news is just as are you are not limited one particular role in life, you are not tied to one particular diet. Your diet is a reflection of the role you are currently playing. Understanding that allows you to move more gracefully from one role to the next, hopefully gaining confidence and competence in your choices along the way. Detoxing for 21 days taught me I am capable of dogged discipline as well as righteous rebellion. Experimenting with eating this way opened the door to self-discovery. This kind of nourishment opened me up to a whole different kind of self-love. The biggest challenge remains to be open and accepting of what comes up in the process. So there you have it. The last of the Detox Take Aways. Next week I’ll switch gears and share my Top Ten Tension Tackling Tunes to Keep You Humming Through the Holidays. Thanks for reading. Please leave your comments below. *“Amazingly, researchers have discovered that in patients with classic multiple personality disorders, each personality has a unique and distinct physiology.” In other words, each separate personality has a different metabolism. – Excerpted from The Slow Down Diet by Marc David. Definitely add Marc’s books to your Christmas list! He is an amazing thought leader in the mind-body nutrition field. Check out my other site Downloads from the Divine.